Home Blogging Clickadu’s New Ad-Formats Will Skyrocket Your Online Earnings? You want to increase your profit online, don’t you? I am sure you are Blogger or Webmaster who always aims to maximize the online profit through multiple advertorial techniques. This is true, These days due to several scammy ad-networks and suspicious make money online technique, Bloggers always stead ahead in due-diligence towards innovative traffic monetization. However, The saddening fact is most of the webmasters still depends on traditional banner ads that are the main reason behind ad blindness. Due to same ad impositions everywhere, Visitors better prefer to use ad blockers instead of experiencing next-gen ads. I am sure, you might be asking, What’s the solution to skyrocketing your online profit without diverting visitors attention? Yes, the solution is as simple as you started your online career. Trust me! I would recommend you to always try different ad-formats with unique optimization techniques depending upon your daily traffic stats. So, You may ask, What are the other ad-formats shall we expect apart from banner ads and Pop up ads? This question might be worrying you more if you are streaming online Videos where banner ads or Pop ads are discarded due to its format. 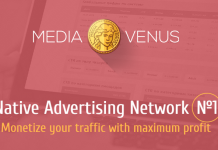 You might have already tried multiple ad-networks in the past but let me be unbiased to introduce an innovative ad-network that you may come across too. I am talking about, Clickadu that recently launches their two unique ad-formats in order to help global publisher for better traffic monetization. Below, I am going to explore these two features in details and what Publishers can expect before giving a try. In your online marketing career, I am sure till date you may know the importance of choosing the correct ad formats. Of course, the significance lies in the placement too. Still, you must be cautious about going with different formats because not every single one gives you the best yield. The two new formats I am presenting here are mobile dialogue and pre-roll. The first one as the name says unleashes the hidden potential of mobile traffic. On the other hand, the latter presents highly targeted short video ads. In pursuit of a network offering these ad formats along with the traditional ones, I have stumbled on Clickadu. Let’s have a look at what these two formats from them have to offer. Have you ever witnessed small dialogue boxes popping up over web pages on mobiles? Most of them lead you to install an application from Google Play or download an APK file. In case your digital marketing mind ignited, you might have even thought of the amount of money the site admin earns through those referrals. Clickadu gives you a chance to get your hands on with the same type of advertisement. The functioning is simple. 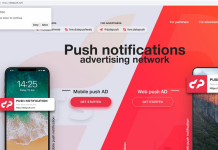 Once you implement mobile dialogue or push up ads on your website, the visitor gets a small dialogue box over the content of your site soon after a tap. On the bottom of the box, the audience also sees two call-to-action buttons. You have to ensure the website follows norms of mobile responsiveness and load properly without any hindrance. As an advertiser, you can see it’s the best way to increase the number of users of your application. Creating a compelling ad copy will certainly get you tons of downloads. If your product matches the industry standard, you can retain those users. High conversion rate:- Admit it! Achieving a high conversion rate is no cakewalk. We have to go through various experiments, A/B split testing and what not! Here, mobile dialogue ads give you a readymade chance to up your conversion rate within no time. Mobile compatibility:- Clickadu’s push up ads are compatible with every smartphone you can find in the market. The advertisements shape themselves to fit the screen in an adequate way possible. Given the major share of internet traffic comes from mobile phones, you can’t just overlook such users. Google friendly:- What would Google think? It is the most common question every website owner asks himself after making even a small change on his website. With mobile dialogue ads active on your site, you won’t have to worry about any obstacle coming your way from Google. The search engine titan has no complaints in this healthy way of advertising. High CTR:- Click Through Rate is directly proportional to Conversion Rate (CR). If CTR is high, we can surely say the same about CR too. As you read earlier, the push-up ad dialogue box has two CTA buttons. It evokes intrinsic curiosity in the psyche of people. Result?? You will witness CTR touching the sky. Best for Promotion:- You can easily get tons of people to use your application by simply setting up a push-up ad campaign. YouTube is the second most popular search engine in the world. Can you imagine? A platform of videos has achieved this feat. Yeah, it shows the importance of videos in the modern era. Billions prefer media content to text. Perhaps, that’s what triggered Clickadu to launch pre-roll video advertising format. The way the ad format works is pretty trivial. They show the video ad once a visitor selects/clicks a content. He/she needs to watch a promotional video of 15-30 seconds duration. Then, the audience will get what he asked for. Owing to the IAB VAST 3.0 protocol Clickadu operates with, visitors won’t get any issues with any JS or HTML players. If you are a publisher, you have to keep a few things in mind before kickstarting a pre-roll campaign. The video should have at least 15 seconds in length. It should not go beyond 30 seconds as well. The file size must not exceed 40 megabytes. You have to make sure the resolution is at least 240P and the file carries MP4, WMV, AVI, MOV or FLV extension. Better than conventional advertising:- Ask yourself. What do you like the most; text, image, or video? The answer says it all. The analytics showed about 91% of people watch targeted video ads without skipping. High eCPM rates:- Effective Cost Per Mile Rate should be on the higher side for you to make a handful of money. Clickadu offers $1 for tier 1 countries. Master targeting:- In advertising, target audience plays a pivotal role. If you don’t target well, you will end up exhausting all your resources in vain. Clickadu allows you to pinpoint your audience so that they won’t have to skip your ad. Support all JS and HTML players:- No matter what browsers your visitors use, they can watch the video ads like a walk in the park. The platform follows the latest IAB requirements for VAST 3.0 codes. Promotion through creativity:- Creativity always won hearts even in commercial advertisements. If you or your team can pull off an impressive short video about your product, your backend will be showered with subscription messages. 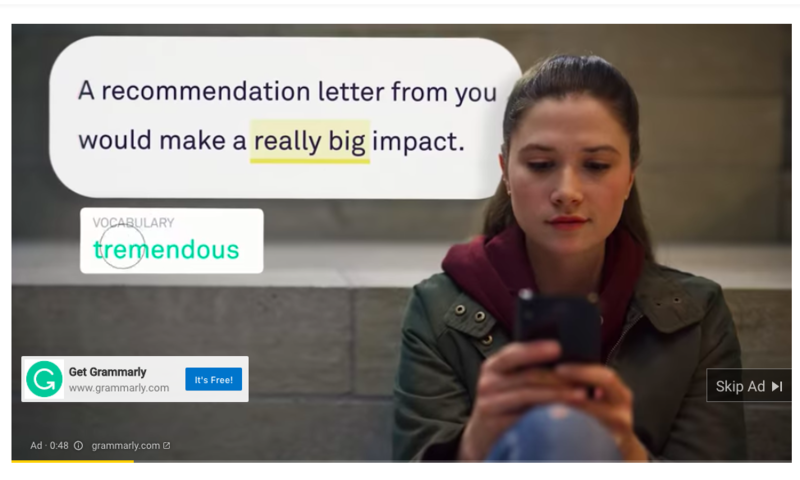 Finally, After the above read – Do you think “Clickadu’s new ad formats will get success in impressing digital marketing players either publishers or advertisers”? In my write up, I covered everything in details that I experienced during my research. Now, it’s up to you, If you think these innovative ads formats are really promising then better go ahead and sign up as a Publisher. Hope our above write up might help you to gather some compelling information for maximizing online profits in 2019.